This pot pie couldn't be easier. 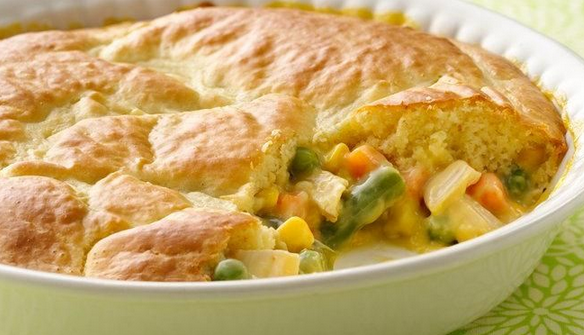 It’s loaded with chicken and vegetables in a creamy sauce and baked under an impossibly easy crust. Heat oven to 400ºF. Mix vegetables, chicken and soup in ungreased glass pie plate, 9x1 1/4 inches.